Little Falls is a community rich in history, but those riches too often remain untapped or out of reach. Our past can provide context for the present and guidance for the future, but only if we make an effort to understand our beginnings in all of their depth and complexity. The Office of the City Historian provides that understanding to elected officials, city staff, students, and the public through programs that promote tourism, enrich the cultural life of Little Falls, and lend perspective to city planning and urban renewal. 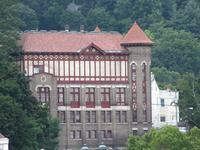 The City Historian is responsible for conducting historical research on matters of public interest. As duly recognized and registered with the Department of Education's Cultural Affairs section, his duties are specific: To collaborate with the City Clerk's Office in retrieving information regarding vital statistic records; to provide answers to all queries from the public sector; to publish from time to time articles of local historic interest; to collect and preserve materials for future reference; to serve as editor for all publications; and to participate in the functions of the local Historical Society. THE CITY OF LITTLE FALLS was first recognized by Governor Burnet in 1725 as a place of location, when he allowed the Palatine Germans to settle “no further west than the Little Falls" as distinguished from Big Falls in Cohoes, this area became large in history, notwithstanding its diminutive start. Formed as the village of Little Falls in 1811, Herkimer County's only city is full of history. Now looking back on our history, we see clear evidence of this claim. Beginning with the revolution that broke ties with England's king, the Mohawk Valley was referred to as "the bread basket of the American army." 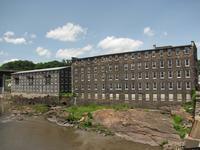 As such, Little Falls was the port of call for shipping the grain to Albany. Later George Washington was eager to encourage an inland canal here, the first such navigational waterway in the United States. 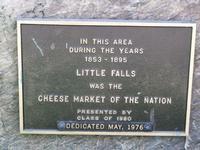 And as the nation grew and tapped into its great resources, the village of Little Falls, formed in 1811, became a leader in the knitting industry and the marketing of cheese. In fact, because of its extensive trade here, it became recognized as the cheese capital of the United States. Adding to the luster of that notoriety is the boast of becoming America's first Board of Trade and the first to export cheese to England. Visitors approaching this place by way of packet boat were amazed at the beauty of the gorge and the attractiveness of the quaint little village where, at first sight, was the octagonal shape of a church sitting atop a hill and always in view of the ever cursing canallers. And the three-arched aqueduct gave off the charm of a medieval province. Someone once remarked, with exceeding compliment, that Little Falls was "America's beauty spot." Here, too, we met and conquered the Erie Canal's most difficult construction. Over the years new honors were added to its many laurels; we led in the manufacture of hammers of all types, footwear, dairy equipment and sectional bookcases. We became equally proud of the fact that two of the then highest paid corporate executives in the United States, John Ricardo and Richard Gerstenberg, holding positions as chief executive officers of automotive firms General Motors - and Chrysler Corporation, were both born and bred here. Yes, even a president of the United States, Martin Van Buren, not only slept here in 1834, but left his night cap at the home of Colonel Lansing on Church Street. And, according to a reporter who traveled aboard Lincoln's inaugural train, Little Falls gave the president-elect the best reception since leaving his hometown in Springfield. Our library is the depository of the largest and best example of crystal silica gems in the world, a collection generously donated by Dr. John Hurley. This display case holds thirty-six trays of diamonds of graduated sizes. 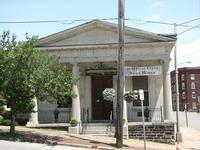 In the latter part of the 1820s, Charles Finney, the world's most recognized evangelist, held a revival service here and his influence led to the building of the First Baptist Church. Frances Bellamy, author of the original oath of allegiance to the American flag, held pastorate here prior to moving to Boston where the famous pledge was first composed in the Youth Companion magazine. When most communities may have a park or two or only a square, we are blessed with an abundance of parks, perhaps the largest number in the state. And we are fast approaching the possibility of adding another to the list, Moss Island, the site of the largest concentration of glacial rock formations in the country. We are the home of the most massive pot-hole accessible to travelers on foot: Chimney Rock or Hobo Rock as it came to be called when tramps of long ago built fires beneath its opening ledge. And who has not marveled upon first observing the churning power of Buttermilk Falls when the rains are especially heavy and the running creek above it meets at its mouth and pours violently over the edge. A poet might even write, "God must have stayed and paused to make the wonder of these falls! " Talequega Park, too, with its splendid and spiraling pot-holes showing the physical evidence of a time when the Noah flood waters abated from the earth and with it, the Sea at Little Falls. It is interesting to note that our recent "First Night" celebrations were introduced as far back as the- Civil War When the local population met at their respective churches for banqueting,-song and prayer services. The whole affair was known "Watch Meeting." Herkimer County's oldest operating paper; The Evening Times, is still flourishing here, and in 1833, the county's first bank was built here. Blessed with a proximity to a highway, railroad, river, canal and a Thruway service, we are uniquely qualified to the necessary assets -of a trade center. One may play tennis, baseball, swim, golf, hike, climb and canoe here and have the services of a community cooperative, library, historical museum, marina, fitness center,,. hospital, water treatment facility, and a sewage disposal system. From the rising bluffs of the South Side, we experience the panorama of a city straddled between the great hills of the valley. We ship tea around the world, sell our paper products to the needs of commercial franchisers and we deliver the best made stainless steel bulk containers in the country. And though time and circumstances have removed from us those products once made here, there are still inquiries from thousands around the world who annually request a Cheney hammer or Lundtrom's famous bookcases. The pride of our past labors still cling to the present. A look at Little Falls is not a finished story. It is a continuing saga where even a dwindling population or adverse economic conditions cannot halt or in any way hinder its greatness and glory. It is something forever to build on. Nor has this composition touched fully the grandeur of this place. It runs on as the river that stretches to the sea. And it is compelled to claim the past as it strides to secure the future. In all our history, in all the wars which took from us our sons and daughters, in all the energy and vision of those who labored in the past, this place, this city, will nourish from its pride and glean from the fruits of all its endeavors.